Instantly add a modern vibe to your menswear essentials with this smart and polished necktie in a minimalistic colorway of silvers, blacks and ivories. 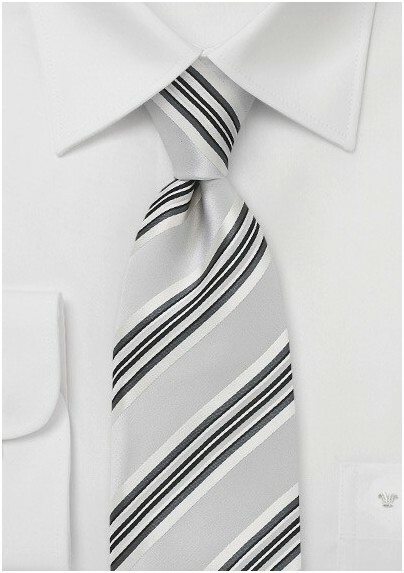 The graphic pattern and the simple neutral color tones makes this tie a must have accessory for every season. 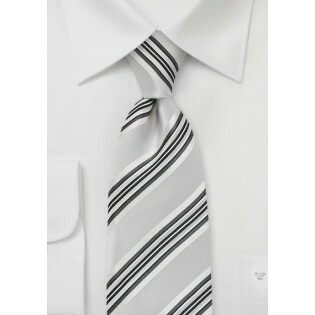 We love to see this tie worn with formal wear because of its haute couture elegance. It pairs beautifully with black suits and charcoal blazers. This tie is a knockout design from the respected Cavallieri Design House. Crafted from pure silk.